I probably own way more beauty products than your average person and spend too much money on makeup, but this year I have been really good and cut back on my beauty spending. Instead I have been dipping into my stash of products that haven't seen the light of day and using up those that were sitting at the bottom of my cupboards collecting dust. It would probably be interesting if I counted up all of my products, maybe worrying might be a better word. Anyhow one of the products lost at the bottom of my cupboard was BeautyLab's GlycoWash and I just finished the bottle the other day. Before I started using BeautyLab, Nip + Fab was my go to face wash and I was using the entire Glycolic Fix range, which is the holy grail. So when I decided to go through my stash I wasn't expecting to find a product that I liked as much as Nip + Fab. I am very picky when it comes to skincare products from moisturisers to face scrubs, if I don't see any benefits within a month of using the product then I won't repurchase it and more often than not it goes in the bin. Like anybody does, I like to see a skincare product that actually does what it says and that won't make my skin breakout in spots or dry it out. BeautyLab did not disappoint me and I saw a little difference in my skin every day. 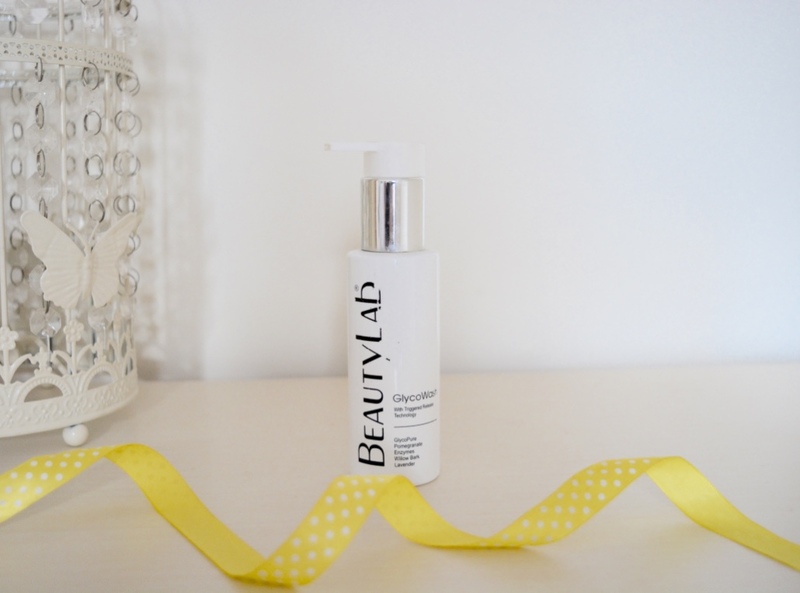 After falling in love with the Nip + Fab Glycolic range, I was really happy that my BeautyLab face wash contained glycolic acid as it is meant to be really good for breakouts and removing impurities. The GlycoWash also contains encapsulated salicylic, pomegranate enzymes and a blend of soothing willow bark and lavender. The foaming cleansing gel cleanses skin leaving a smoother and brighter complexion, my skin also felt so clean and refreshed. It lathers really well but not too much that you have loads of bubbles all over your face. The only con I found was that my pores didn't looked as minimised as I would have wanted, I think the Nip + Fab cleanser did a better job at that. Pore wise they didn't feel much different but it did help keep those pesky spots at bay and calm them down when I had a breakout. I definitely want to try out more from BeautyLab in the future, I was really impressed with the GlycoWash and think I would go for a cream, eye cream or lip plump next.